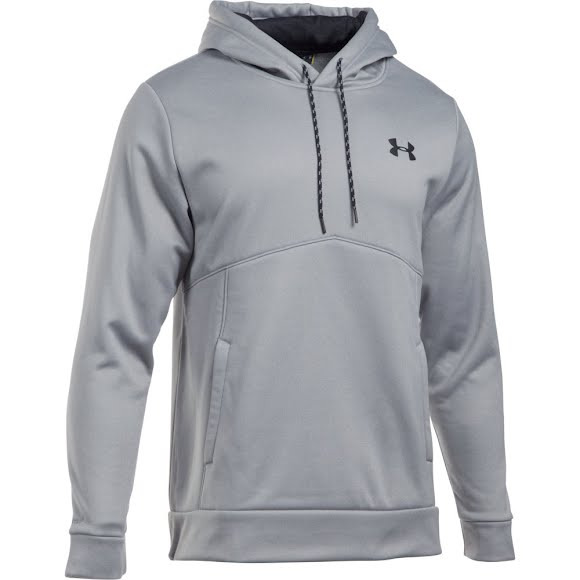 With a loose, fuller cut for complete comfort, the Under Armour Men's Armour® Fleece Storm Icon Hoodie features UA Storm technology, Armour® Fleece construction, and hand pockets with a right-side internal phone pocket. With a loose, fuller cut for complete comfort, the Under Armour Men&apos;s Armour® Fleece Storm Icon Hoodie features UA Storm technology, Armour® Fleece construction, and hand pockets with a right-side internal phone pocket. UnderArmour&apos;s signature highly water-resistant performance fabric that repels rain and snow without sacrificing breathability for all weather training! An inventive fabric that is light, breathable and stretches for superior mobility.